I love the game of chess. Over the years I have enjoyed playing in tournaments and in informal games at chess clubs and other venues. Now I do not believe there is any necessary relationship between any particular game and mental illness. 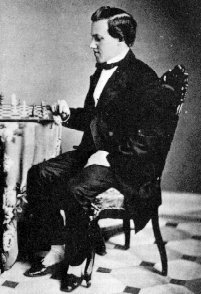 It does happen to be the case that in studying the history of the game, one finds a number of cases of brilliant players who became mentally ill. Paul Morphy, the great nineteenth century American player and unofficial world champion, is one classic example. Wilhelm Steinitz, the first official world champion and, since he became a United States citizen in 1888, the first U.S. world champion, sadly, became mentally ill in old age, allegedly offering God odds of pawn and move in a game. Akiba Rubenstein, a great player from the early twentieth century, also became mentally ill in his old age. The most famous contemporary example of mental illness in a chess player is Bobby Fischer, the first U.S.-born world champion. After he won his championship match with Boris Spassky, Fischer’s behavior became increasingly unstable, and his rabid antisemitism seemed to be a strange form of self-hatred given that his mother was Jewish, and recent evidence indicates his father may have been Jewish as well. Shortly before he died in 2008, I looked at Bobby Fischer’s personal website–it was clearly the work of a sick man–paranoid, raving, and incoherent. I disagreed with the U.S. Chess Federation’s throwing Mr. Fischer out after he supported the 9-11 attacks because those were not the statements of someone who was mentally “all there”. Why is the case that many chess geniuses suffer from mental illness? Such problems are not unique to chessplayers–mathematical and musical geniuses sometimes have similar problems with mental illness. It is as if the brain is wired for one type of thinking and does that thing at a genius-level, but other forms of thinking are truncated. I am reminded of the extreme of savants, who can do one thing well, but are profoundly mentally handicapped in other areas. I would venture a guess that more geniuses have high-functioning autism (which I do not consider to be a mental illness) than other people. It is well known that people on the autistic spectrum tend to focus on one (or only a few) special interests, and they tend to excel at those. In other areas of life, such as social ability, they do not do as well. I am not chess genius, but only an average tournament player of around the 1500-level, but I have been diagnosed with Asperger’s Syndrome (now called high-functioning autistic spectrum disorder). When I go to chess tournaments, many of the players seem more socially inept than I am–that’s saying a lot. I have also noticed some players having interests upon which they focused almost exclusively–chess, of course, but also collecting fantasy action figures, Dungeons & Dragons, war games (board games), science fiction, science, and mathematics. This is not a bad thing–society needs people with talent in many areas who can channel their interests in a positive direction. If that tendency to be antisocial goes too far, however, to the point of debilitating autism or true mental illnesses such as schizophrenia or bipolar disorder, as well as personality disorders, then that results in players such as Mr. Morphy or Mr. Fischer. These serious cases are sad, and such individuals require treatment which is all too hard to come by these days. Plus, the person or person’s family must take the initiative for the individual to get treatment. I do not believe chess itself will do them harm–it may do them much good in channeling their energies into one of the great strategy games of history and an intellectual contest par excellence. I will continue to enjoy chess, and continue to enjoy playing over the games of the great players of history regardless of their mental difficulties. Morphy’s and Fischer’s games are masterpieces and are a great joy to go over. I believe that the contributions and beautiful games of chess these men offered more than make up for anything they may have said due to their illnesses. In the end, they have made the world a richer and more joyful place by creating objects of beauty. My previous post concerned the hostility of many literary artists to traditional Christianity. But since the Renaissance, the artist has been envisioned, at least in the West, as a rebel against the standards of his age. 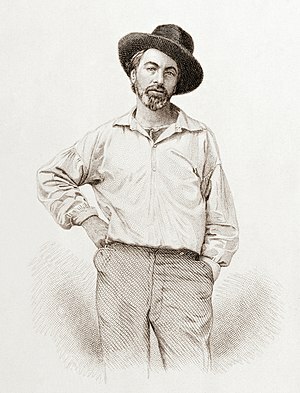 Walt Whitman, Paul Gauguin, Jackson Pollock, Frida Kahlo, Robert Mapplethorpe, Alan Ginsburg, the artist has been associated with rebellion against cultural norms, whether those norms be traditional sexuality or the capitalist economy. Three of the most literary philosophers, Friedrich Nietzsche, Albert Camus, and Jean-Paul Sartre, were also rebels against societal norms opposed to conformity. Even traditionally religious artists, such as W. H. Auden, Allen Tate, and Graham Greene, violated societal norms in their personal lives. Why? There seems to be no necessary connection between being a rebel and being an artist. J. R. R. Tolkien, the author of The Lord of the Rings, was a conservative Roman Catholic whose lifestyle was so traditional that biographers are unable to “dig up any dirt” on him. Why are artists such as Tolkien the exception rather than the rule? The answer may have to do with the modern concept of the artist. In the Middle Ages and even into the early Renaissance, art was not deemed to be primarily self-expression, but service to God. In such a setting, artists would be less likely to rebel since they are servants–to God, to the church that commissioned them, to the patron who commissioned them. But since the Renaissance, art has become individualized, utterly private, the the artist is sometimes tortured in revealing his very being to the world through his art. Such individualism tends to rebellion against the norm. When sheer individuality without limits is admired, the artist seeks for uniqueness, to have his own one-and-only voice, birthed into the world. And individuality without limits is a seedbed for rebellion. In addition, the baring of one’s unique self to the world causes psychological difficulties that can increase the sense of isolation, of “being against the crowd.” The fact that too many people “against the crowd” are the crowd seems to have escaped the minds of many contemporary artists. It is quite interesting hearing artists speak about politics or religion; they often sound as if they are parroting one another. Thus, the drive toward limitless individuality leads ultimately to limitless conformity among artists and among their works. A boring conformity is the result, damaging the very art the artist wishes to champion. These days it is the traditionalists in art, such as Tom Wolfe in fiction, who are the real rebels against blind conformity–they are the true avant garde.